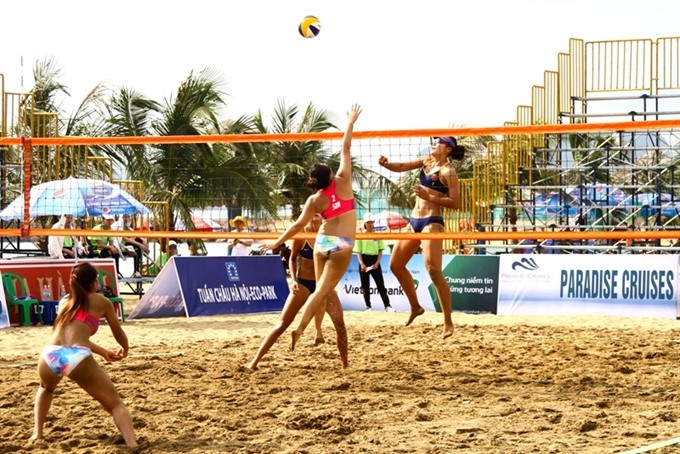 HÀ NỘI — The Tuần Châu-Asian Women’s Beach Volleyball Tournament kicked off in Hạ Long City in the northeastern province of Quảng Ninh on May 4. The event attracted the participation of 23 teams from 12 countries and territories including Australia, Indonesia, Japan and Malaysia. Among them, Vanuatu won the event in 2015 and Australia triumphed in 2016. Việt Nam sent three teams to compete in the tournament which will close on May 7.